one handmade greeting card embellished with hearts, lace, roses, and seam binding. size is 4 1/4 x 5 1/2" approx. card comes with an envelope wrapped in a cello bag for protection. 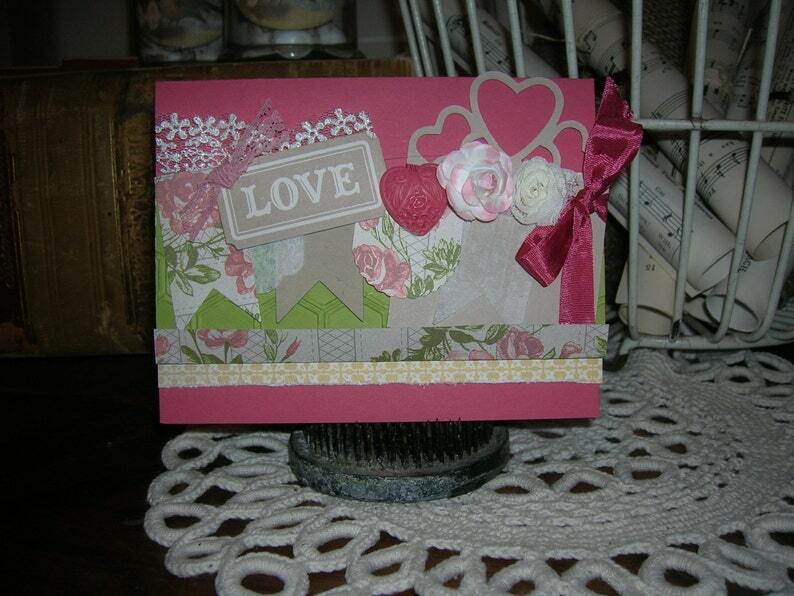 made out of Stampin' Up quality products. stamped on the back of card with logo per Angel policy.